A custom design to match their innovative work. 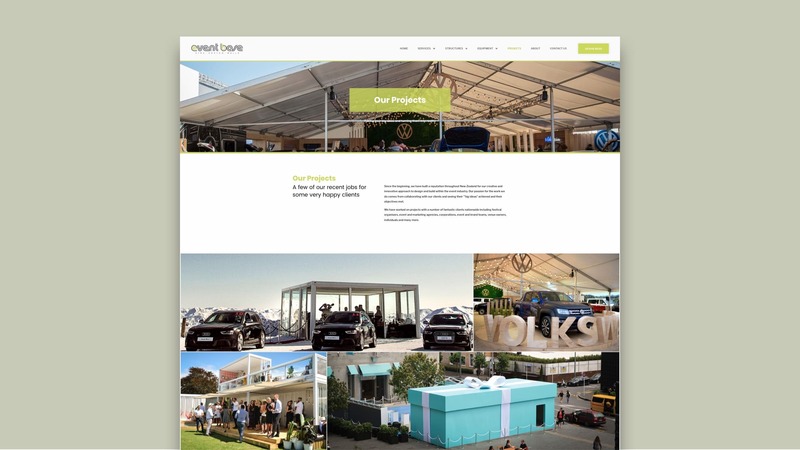 Event Base are New Zealand's leaders in the design and build of eye-catching temporary event structures. 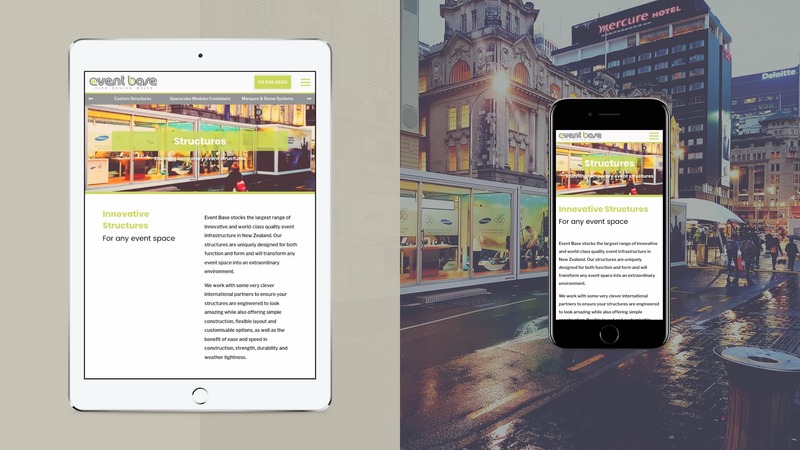 We took the opportunity to help them redesign their website helping to cement their strong position in the New Zealand events industry. Fabric worked hard to ensure that the new Event Base website looked just as good on all devices. Its highly responsive design means that all customers can easily navigate and interact with the website regardless of what device they are using. Showcasing their impressive portfolio of works. Fabric’s simple design put the focus on Event Base’s impressive portfolio of past work. After all, in their industry, it’s images of past projects that speak volumes about their creativity and innovation. 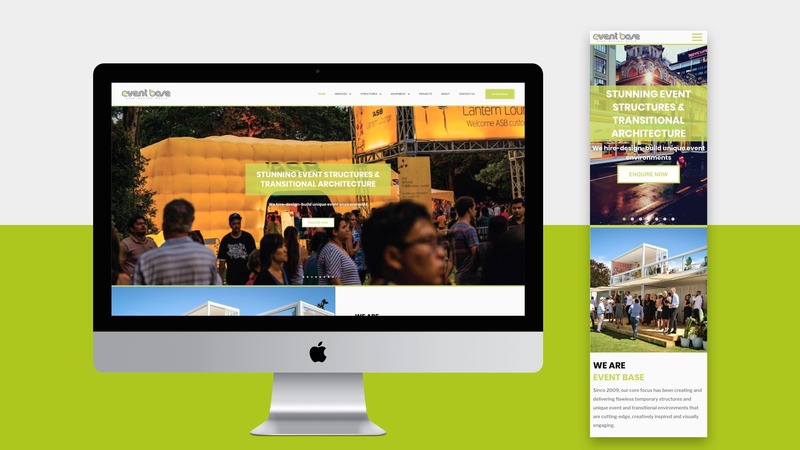 Fabric’s design fits very closely with Event Base’s brand, taking advantage of the striking green from their logo to draw attention to important calls to action throughout the site. Highlighting their dominance in the industry. 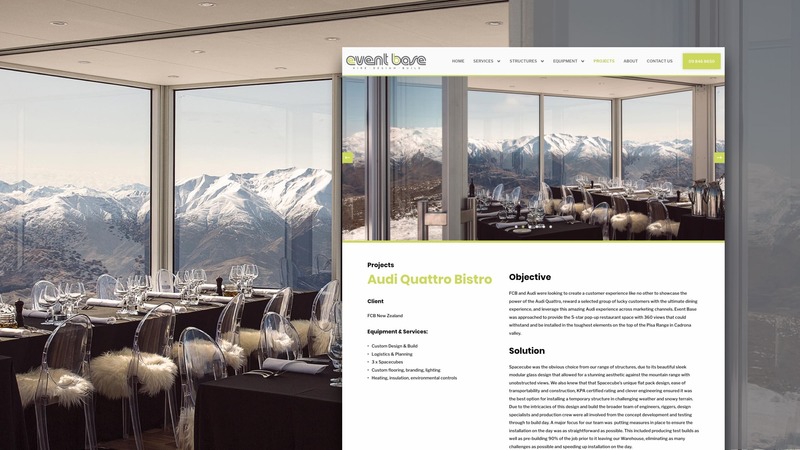 Event Base’s new website not only draws users’ attention to their vast experience in creating structures and environments for an array of events, it clearly shows the individual services and structures they have to offer. Event Base are global partners for a range of world leading event structures and products, so why not show it off!